1. Gagner M, Lacroix A, Prinz RA, et al. Early experience with laparoscopic approach for adrenalectomy. Surgery 1993; 114:1120-1126. 2. Prinz RA. A comparison of laparoscopic and open adrenalectomies. Arch Surg 1995; 130: 489-494. 3. Guazzoni G, Montorsi F, Bocciardi A, et al. Transperitoneal laparoscopic versus open adrenalectomy for benign hyperfunctioning adrenal tumours: a comparative study. J Urol 1995; 153: 1597-1600. 4. Janetschek G, Altarac S, Finkenstedt G, et al. Technique and results of laparoscopic adrenalectomy. Eur Urol 1996; 30: 475-479. 5. Thompson GB, Grant CS, van Heerden J, et al. Laparoscopic vs. open posterior adrenalectomy. A case control study of 100 patients. Surgery 1997; 6:132-136. 6. Janetschek G, Lhotta K, Gasser R, et al. Adrenal sparing laparoscopic surgery for aldosterone producing adenoma. J Endourol 1997; 11:145-148. 7. Janetschek G, Finkenstedt G, Gasser R, et al. Laparoscopic surgery for phaeochromocytoma: adrenalectomy, partial resection, excision of paragangliomas. J Urol 1998; 160:330-334. 8. Walz MK, Peitgen K, Saller B, Giebler RM, et al. Subtotal adrenalectomy by the posterior retroperi-toneoscopic approach. World J Surg 1998; 22:621-627. 9. Dobbie JW, Symington T. The human adrenal gland with special reference to the vasculature. J Endocr 1966; 34:479. 10. Janetschek G, Neumann HPH. Laparoscopic surgery for pheochromocytoma. Urol Clin North Am 2001; 28(1):97-105. 11. Oelkers W. Adrenal insufficiency. N Eng J Med 1996; 335:1206-1212. 12. Zeilssen PM, Croughs RJM, Van Rijk PP, et al. Effect of glucocorticoid replacement therapy on bone mineral density in patients with Addison disease. Ann Intern Med 1994; 120:207-210. 13. Telenius-Berg M, Ponder MA, Berg B, Ponder BAJ, Werner S. Quality of life after bilateral adrenalectomy in multiple endocrine neoplasia 2. Henry Ford Hosp Med 1989; 37:160-163. 14. Nakada T, Kubota Y, Sasagawa I, et al. Therapeutic outcome of primary aldosteronism: adrenalectomy versus enucleation of aldosterone-producing adenoma. J Urol 1995; 153:1775-1780. 15. Ross NA, Aron DC. Hormonal evaluation of the patient with an incidentally discovered adrenal mass. N Eng J Med 1990; 323:1401-1405. 16. Thompson NW, Cheung PSY. Diagnosis and treatment of functioning and non-functioning adrenocortical neoplasms including incidentalomas. Surg Clin North Am 1987; 67:423-436. 17. Aso Y, Homma Y. A survey on incidental adrenal tumors in Japan. J Urol 1992; 147:1479-1481. 18. Ito Y, Fujimoto Y, Obara T, Kodama T. Clinical significance of associated nodular lesions of the adrenal in patients with aldosteronoma. World J Surg 1990; 14:330-334. 19. Neumann HPH, Bender BU, Reinicke M, et al. Adrenal sparing surgery for pheochromocytoma. Br J Surg 1999; 86:94-97. 20. Walther MM, Keiser HR, Choyke PL, Rayford W, Lyne JC, Linegan WM. Management of hereditary phaeochromocytoma in von Hippel-Lindau kindreds with partial adrenalectomy. J Urol 1999; 161:395-398. 21. Lee JE, Curley SA, Gagel RF, Evans DB, Hickey RC. Cortical sparing adrenalectomy for patients with bilateral phaeochromocytoma. Surgery 1996; 120:1064-1070. 22. Giordano WC. Preservation of adrenocortical function during surgery for bilateral phaeochromocytoma. J Urol 1981; 127(1):100-102. 23. Albanese computed tomography, Wiener ES. Routine total bilateral adrenalectomy is not warranted in childhood familial phaeochromocytoma. J Ped Surg 1993; 28:1248-12451. 24. Okamoto T, Obara T, Ito Y, et al. Bilateral adrenalectomy with autotransplantation of adrenocortical tissue or unilateral adrenalectomy: treatment options for phaeochromocytomas in multiple endocrine neoplasia type 2A. Endocrinol J 1996; 43(2):169-175. 25. van Heerden JA, Sizemore GW, Carney JA, et al. Bilateral subtotal adrenal resection for bilateral pheochromocytomas in multiple endocrine neoplasia type IIa: case report. Surgery 1985; 98:363-366. 26. Sasagawa I, Suzuki Y, Itoh K, Miura M, Suzuki H, Tomita Y. Posterior retroperitoneoscopic partial adrenalectomy: clinical experience in 47 procedures. Eur Urol 2003; 43:381-385. 27. Vaughan ED Jr, Blumenfeld JD, Del Pizzo J, Schichman SJ, Sosa RE. In: Walsh PC, Retik AB, Vaughan ED Jr, Wein AJ, eds. The Adrenals. Campbell's Urology. 8th ed. Saunders, 2002; 2360-2398. 28. Newhouse JH. magnetic resonance imaging of the adrenal gland. Urol Radiol 1990; 12(1):1-6. 29. Neumann HPH, Berger DP, Sigmund G, et al. Phaeochromocytomas, multiple endocrine neoplasia type 2 and von Hippel-Lindau disease. N Engl J med 1993;329: 1531-1538. 30. Pattou FN, Combemale FP, Poirette JF, et al. Questionability of the benefits of routine laparotomy as the surgical approach for pheochromocytoma and abdominal paragangliomas. Surgery 1996; 120(6):1006-1011. 31. Orchard T, Grant CS, van Heerden JA, et al. Pheochromocytoma-continuing evaluation of surgical therapy. Surgery 1993; 114:1153-1159. 32. Ulchaker JC, Goldfarb DA, Bravo EL, et al. Successful outcomes in pheochromocytoma surgery in the modern era. J Urol 1999; 161:764-767. 33. Mann C, Millat B, Boccara G, et al. Tolerance of laparoscopy for resection of pheochromocytoma. Brit. J Anesth 1996; 77:795-797. 34. Fernandez- Cruz L, Taura P, Saenz A, et al. Laparoscopic approach to pheochromocytoma: hemodynamic changes and catecholamine secretion. World J Surg 1996; 20:762-768. 35. Sung GT, Gill IS, Hobart M, et al. Laparoscopic adrenalectomy: prospective, randomised comparison of transperitoneal versus retroperitoneal approaches. J Urol 1999; (suppl 161):21, abstract 69. 36. Walz MK, Peitgen K, Hoermann R, et al. Posterior retroperitoneoscopy as a new minimally invasive approach for adrenalectomy: results of 30 adrenalectomies in 27 patients. World J Surg 1996; 20:769-774. 37. Baba S, Miyajima A, Uchida A, et al. Aposterior lumbar approach for retroperitoneoscopic adrenalectomy: assessment of surgical efficiency. Urology 1997; 50(1):19-24. 38. Pautler SE, Choyke PL, Pavlovich CP, et al. Intraoperative ultrasound aids in dissection during laparoscopic partial adrenalectomy. J Urol 2002; 168:1352-1355. 39. Suzuki K, SugiyamaT, Saisu K, et al. Retroperitoneoscopic partial adrenalectomy for aldosterone producing adenoma using an ultrasonically activated scalpel. Br J Urol 1998; 82:138-139. 40. Sasagawa I, Suzuki H, Tateno T, et al. 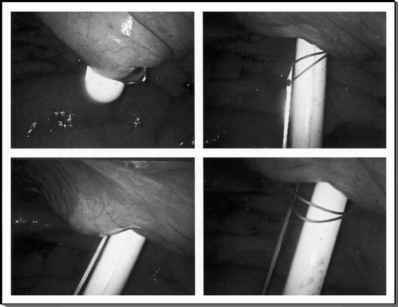 Retroperitoneoscopic partial adrenalectomy using an endoscopic stapling device in patients with adrenal tumor. Urol Int 1998; 61:101-103. 41. Walther MM, Herring J, Choyke PL, Linehan WM. Laparoscopic partial adrenalectomy in patients with hereditary forms of phaeochromocytoma. J Urol 2000; 164:14-17. 42. Ikeda Y, Takami H, Tajima G, et al. Laparoscopic partial adrenalectomy. Biomed Pharmacother 2002; 56:126-131. 43. Al-Sobhi S, Peschel R, Bartsch G, et al. Partial laparoscopic adrenalectomy for aldosterone-producing adenoma: short and long term results. J Endourol 2000; 14(6):497-499. 44. Jeschke K, Janetschek G, Peschel R, et al. Laparoscopic partial adrenalectomy in patients with aldosterone producing adenomas: indication, technique and results. Urology 2003; 61(1):69-72. 45. Ishikawa T, Inaba M, Nishiguchi Y, et al. Laparoscopic adrenalectomy for benign adrenal tumors. Biomed Pharmacother 2000; 54(suppl 1):183s-186s. 46. Kok KY, Yapp SK. Laparoscopic adrenal-sparing surgery for primary hyperaldosteronism due to aldosterone producing adenoma. Surg Endosc 2002; 16:108-111. 47. Munver R, Del Pizzo J, Sosa RE. Adrenal preserving minimally invasive surgery: the role of laparoscopic partial adrenalectomy, cryosurgery and radio-frequency ablation of the adrenal gland. Curr Urol Rep 2003; 4(1):87-92. 48. Imai T, Tanaka Y, Kikumori T, et al. Laparoscopic partial adrenalectomy. Surg Endosc 1999; 13(4):343-345. 49. Meria P, Kempf BF, Hermieu JF, et al. Laparoscopic management of primary hyperaldosteronism: clinical experience with 212 cases. J Urol 2003; 169:32-35. 50. Walz MK, Peitgen K, Neumann HPH, et al. Endoscopic treatment of solitary, bilateral, multiple and recurrent pheochromocytomas and paragangliomas. World J Surg 2002; 26:1005-1012. 51. Neumann HPH, Reincke M, Bender BU, Elsner R, Janetschek G. Preserved adrenocortical function after laparoscopic bilateral adrenal sparing surgery for hereditary pheochromocytoma J Clin Endocrinol Metab 1999; 84(4):2608-2610. 52. Al-Sobhi S, Peschel R, ZinakC, Bartsch G, Neumann H, Janetschek G. Laparoscopic partial adrenalectomy for recurrent phaeochromocytoma after open partial adrenalectomy in Von Hippel-Lindau disease. J Endourol 2002; 16(3):171-174. 53. Pattaras JG, Moore RG, Landman J, et al. Incidence of postoperative adhesion formation after transperitoneal genitourinary laparoscopic surgery. Urology 2002; 59(1):37-41.